Learn How to Turn Any Kitchen into a Mini Greenhouse with Garden Windows | G&S Contracting, Inc. Needing some life and vitality in your kitchen, but have limited space? Garden windows provide a perfect solution! First, let us describe what garden windows are. They are like bay windows, except smaller, usually above the kitchen sink, and they extend out about 18 inches to create a showcasing nook. They make a massive difference in the look and energy of your kitchen and provide endless possibilities of what to put in them. Whether you’re a seasoned gardener or a plant novice, creating a mini greenhouse in your garden window doesn’t require a green thumb! Start by deciding what effect you want to create–herbs, succulents, ferns, flowers, or bulbs? Remember the containers you use will be smaller, as will the plants. Visit your local nursery; they’ll have all the materials available in one place. Though small, these greenery additions will transform your interior beyond belief. Do garden windows sound like something you would be interested in? 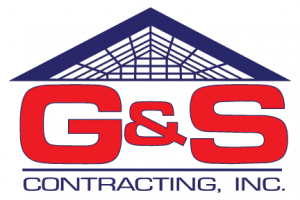 Contact us at G & S Contracting, Inc. Let us offer you a chance to create a small change with a big punch.